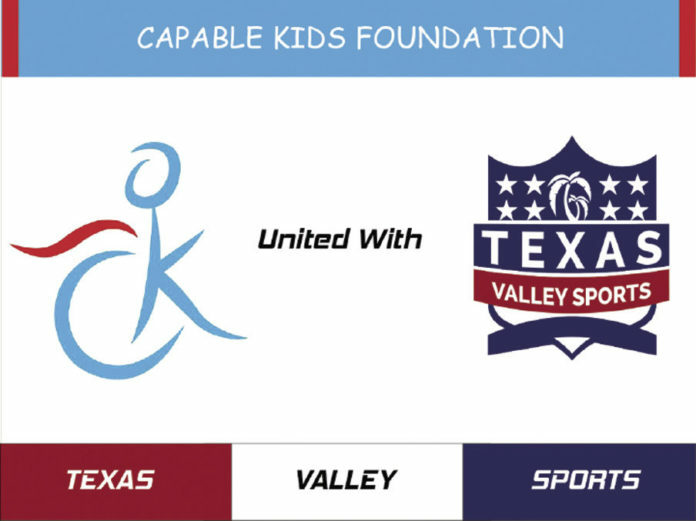 With the mission of inclusion at the heart and center of Texas Valley Sports — a semi-pro sports league for young adults — the company has partnered with Capable Kids, a non-profit organization aimed to offer stimulating activities and social events to individuals with special needs. Both teams will join forces for a football game at 7:30 p.m. Saturday at Golazo Soccer in Pharr. True inclusion, said Capable Kids Executive Director Esmer Leal, comes from making events adaptive. “Community events should be community events, regardless of abilities,” she said. In 2016, Jose “Big Bear” Perales founded Texas Valley Sports as a mentorship program for post-high school athletes to keep involved in the community and sportsmanship. From Brownsville to Rio Grande, 10 teams composed of 30 to 40 players exist; football is the prime focus. “It definitely has met my expectations,” said Perales of his company’s growth. The benefits of existing as part of an athletic team, he said, extend beyond physical activity. It also serves to help young adults “struggling with their lives” and potential mental health issues as the aftermath of a major chapter of their lives concluding — not continuing with athletics into college, if attended. Texas Valley Sports Marketing Director Jaime Contreras relates. Since joining the company and being involved, he said, he has been able to tackle some of his own mental concerns. “I never expected it to, but it has made me a totally different person,” he said. The desires of the special need population are not so far off. Capable Kids serves over 600 families in the Rio Grande Valley, according to Leal. For Saturday’s game, individuals from Capable Kids, including their own Sparks cheerleaders, will perform a special half-time show and help man the concessions. Leal noted that a large part of the success of Capable Kids is due to the dedication of volunteers. Since its birth, the special needs foundation has expanded to also serve the community of Cameron County. Texas Valley Sports is also largely volunteer based, with each team designated a volunteer coach. The organizations share another common mission —preventing, or reducing the rate of suicide. Contreras cited an instance of an ex-player in South Texas committing the act this past year. Capable Kids has taken on another project, the “i AM” society, aimed to reaching kids in a crisis or contemplating suicide. The society, she said, is in the process of recording a video to be shown in schools to inspire kindness and inclusion. “There’s a lot of mental illness out there not being addressed,” she said. “We can help other students empower students and remove the stigma. With the partnership, Leal, Perales and Contreras expect to learn from one another and reach more people. “We feel this is a way to get the whole community involved,” said Perales. “That’s really what our goal is. Tickets for the game are being sold for $10, with a portion of the profits going to each foundation. For more information, visit texasvalleysports.com or ckrgv.org.